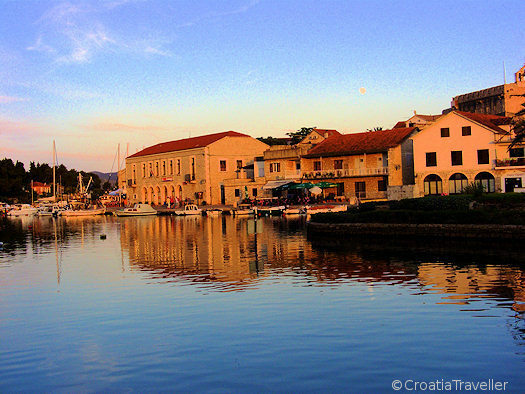 They say that Marco Polo was born in Korcula town. If so, one wonders why he ever left. Publisher of croatiatraveller.com; author of "Dalmatia: Split to Dubrovnik". From craggy Krk in the north to luscious Mljet in the south, the Croatian Adriatic is teeming with islands, around 1200 in all. The sheer variety of island landscapes is stunning. The terrain can shift abruptly even on the same island as wind-whipped hills give way to rolling vineyards and tranquil pastures. Pine-fringed beaches now delight vacationers but it was once the islands' forests that attracted the Venetians who built their ships from Croatian oak. The past is not forgotten (or even past) on Croatian islands. Carefully carved stone facades, medieval masterpieces tucked away in parish churches, crumbling turrets and towers recall a time when the islands' cultural life flourished under (and despite) Venetian rule. Outside the towns and ports, the rhythms of agrarian life hold sway. Some of Croatia's headiest wines, fruitiest olive oils and most pungent cheeses come from small island producers maintaining a way of life that has endured for generations. Here are the 10 best Croatian islands. Half of is a lush and wooded national park, remarkable for its two inland salt-water lakes. One of the lakes contains an islet with a former Benedictine monastery, now a restaurant. Swim, rent a bike to cycle around the lakes or a kayak to paddle through them. Other island sights include the ruins of a 5th-century palace at one of the Adriatic's most idyllic beaches at and the remote cave where Odysseus allegedly dawdled, too enchanted to leave the island. With a welcoming harbor, gorgeous Venetian-style architecture and the hottest nightlife on the Croatian coast, it's no wonder attracts everyone from movie stars to backpackers. Yet the island has so many more delights. Explore the humble fishing villages of Jelsa and Vrboska or the ancient hill town of Velo Grablje. Discover the fascinating history of Stari Grad which dates to 385BC and marvel at Stari Grad Plain, named a UNESCO world heritage site because the agricultural landscape has remained unchanged since the 4th century BC. Trip Planning: See Croatia Traveller's Hvar Guide. They say (at least on Korcula) that Marco Polo was born in Korcula town. If so, one wonders why he ever left. Even in his day Korcula island was famous for its dense forests interspersed with vineyards, stone quarries and olive groves. Korculan stone carvers were legendary and examples of their work abounds on Korcula's winding streets. 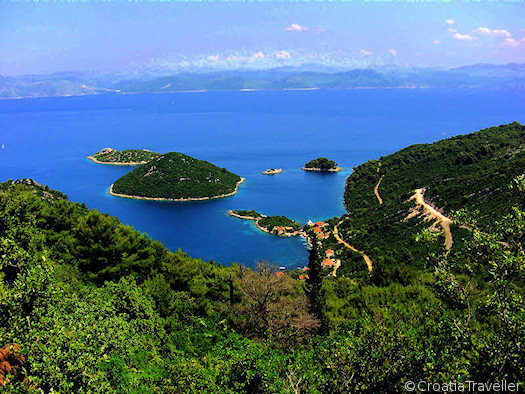 Head to Lumbarda for the vineyards and sandy beaches or take a boat to wooded Badija, an island monastery. 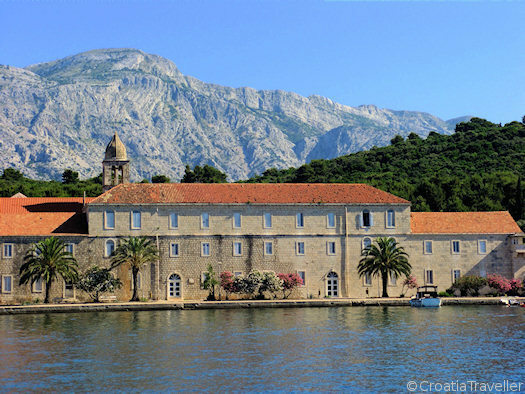 Trip Planning: See Croatia Traveller's Korcula Guide. 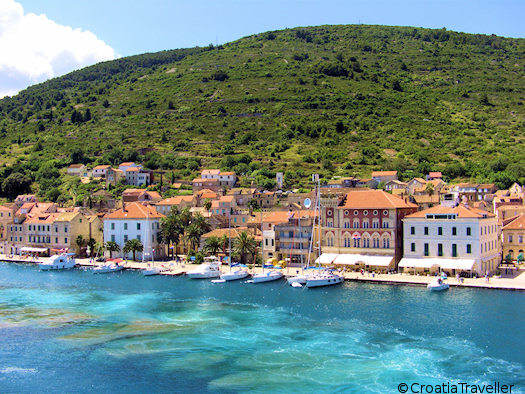 Less visited than its glamorous sisters to the south, Brac island provides a quieter, more authentic island experience yet with several outstanding sights. Famed Zlatni Rt beach on the outskirts of Bol extends a welcoming finger into into the Adriatic and has become almost a mascot of Croatian beaches. Also near Bol is Dragon's Cave, where 15th-century monks carved a crazy profusion of Biblical scenes and symbols. The fishing villages of Splitska, Milna and Pucisca provide a more sedate experience. Vis island is a long ferry ride from Split but worth the effort, especially for wine lovers. Vis is famous for its white wine and many wineries are happy to offer tastings. Vis town has fascinating remnants of the Greek and Roman era and Komiza is an appealingly ramshackle fishing village that serves as a base for visiting the spectacular Blue Grotto. An island known for lace making and dance parties? That's Pag. At one end is Pag town where women bend over the fine needlework that adorns many Croatian homes. At the other is Novalja with Zrce beach, scene of the legendary Hideout Festival among other events. The flat barren landscape between the two is grazed by sheep that produce delicious Pag cheese. 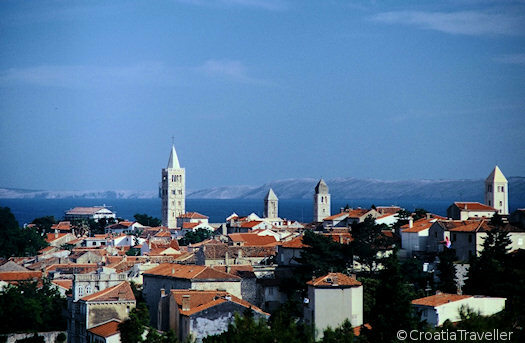 The jewel of enticing Rab island is medieval Rab town punctuated by four exquisite bell towers. The indented shoreline twists and turns until it opens onto Lopar and its wide, sandy beaches. It was in the waters of Rab that Wallis Simpson and King Edward allegedly went skinny-dipping, kicking off their romance and Croatia as a naturism destination. The pine forests of Losinj made the island a health resort for 19th-century Austrians who were attracted to the fresh, healthy air. 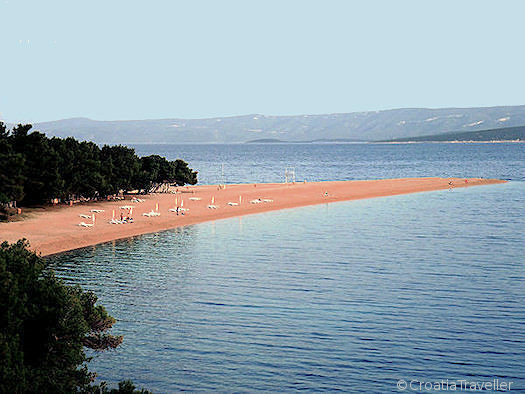 The town of Mali Losinj was once known for its shipbuilding but now pine-fringed Cikat beach is the main draw. Dolphins swim offshore in a protected marine park and regular boats connect the town with the offshore islands of Susak, Ilovik and Unije. 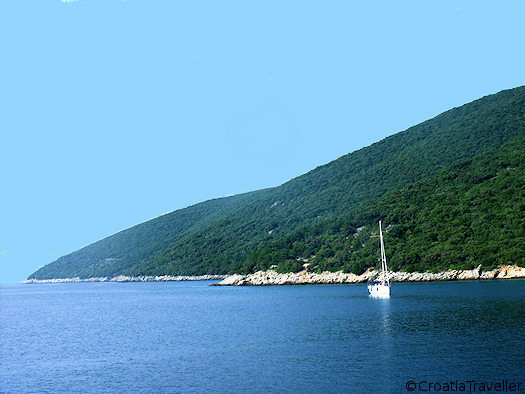 Separated from Losinj by a narrow channel, Cres is like a wild cousin to more stately Losinj. The rugged coastline is a nesting ground for gigantic griffon vultures and the focus of a conservation center. Outside the striking Venetian architecture of Cres town, much of the island is undeveloped. Hidden treasures include the medieval hilltop village of Lubenice, the open air museum of Osor and tiny Valun beach. 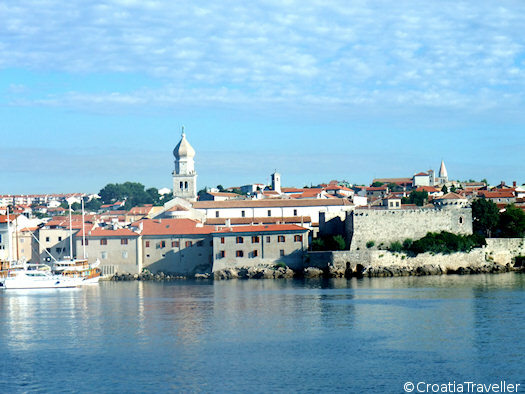 Krk is Croatia's largest island, sprawling over 158 square miles. Hilly and windswept Krk produces the fine Zlatina wine and features Baska, an impressive sweep of sandy beach. 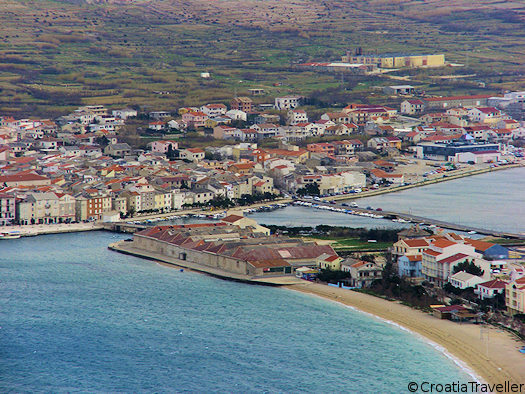 Medieval Krk town is the most popular draw but Punat, Vrbnik and Malinski are also worth a visit.